SPOTLIGHT: Lovely Pre-Code Loy (VI) | THAT'S ENTERTAINMENT! An airline’s owner runs his business with ruthless disregard for safety. 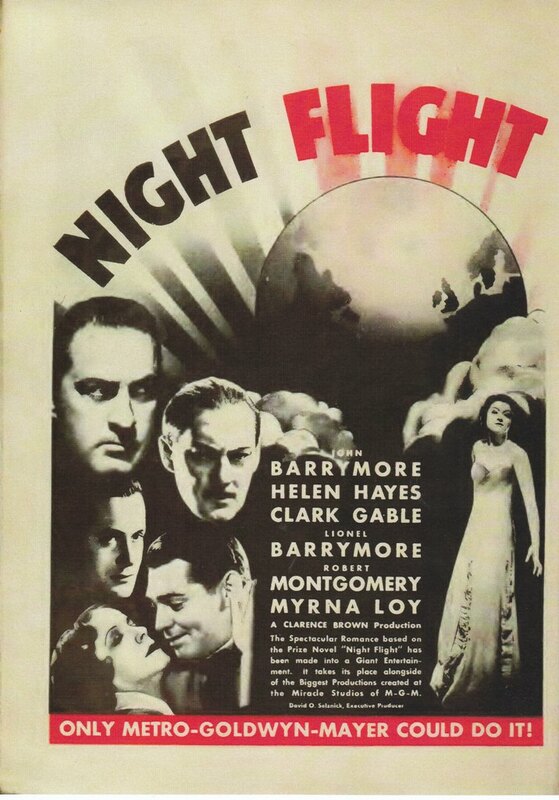 Starring John Barrymore, Helen Hayes, Clark Gable, Lionel Barrymore, Robert Montgomery, Myrna Loy, and William Gargan. Screenplay by Oliver H.P. Garrett. Based on the novel by Antoine de Saint-Exupéry. Directed by Clarence Brown. 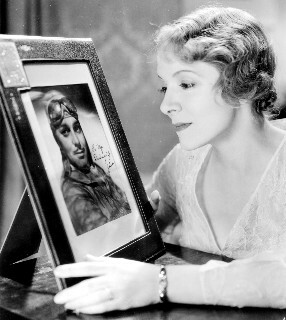 This star-studded MGM spectacle proved to be such a disappointment to novelist Saint-Exupéry that he refused to renew the studio’s rights to the film when they expired in 1942. It took 69 years before this film was publicly seen and released again. Unfortunately, the author may have been justified in his distaste for the picture; not even this divine cast can rescue the film from its thinly-rendered characters and spotty visual direction. The excellent cast — two Barrymores, Gable, Hayes, Montgomery, and Loy — is both a blessing a curse for this picture. It’s a blessing: if anyone can make a mediocre picture into a great one, it would be performers like these. However, it’s also a curse: with such a miraculous cast, the expectations are inevitably going to be higher — especially since MGM’s other starry ensemble films of the Pre-Code era (namely Grand Hotel and Dinner At Eight, both of which have been covered on this blog) are miraculous. 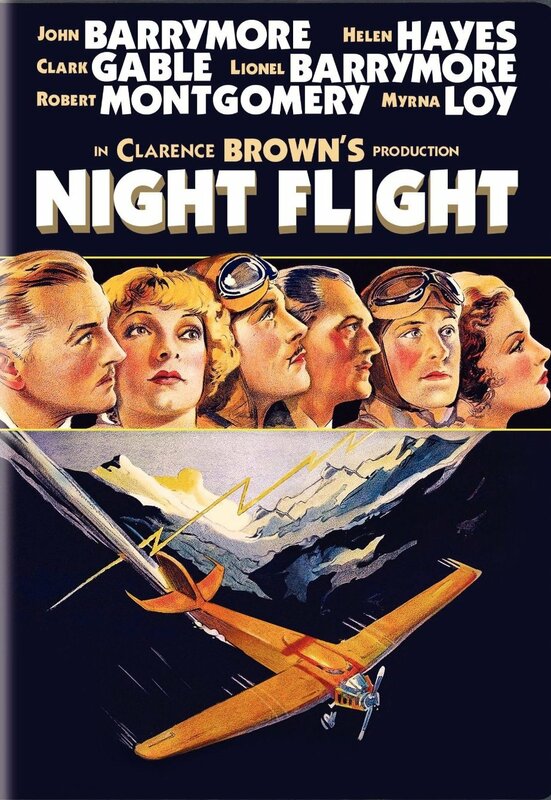 Often when great performers do inferior films, we can at least say, “They gave it all they could.” But one gets the impression with Night Flight (1933) that these actors knew into what they were getting themselves, and gave by-the-book performances; nothing flashy, nothing special. That’s not to say that there aren’t good performances here. The Barrymores are as effective (and affected, but enjoyably) as ever, and Hayes and Loy have moments of quiet honesty. But this isn’t really an actor’s picture, despite the talent involved. Truthfully, it’s not a writer’s picture either. And this is what most spoils the film. Unlike the two aforementioned MGM ensemble melodramas, everybody is so spread out, and the interactions between the characters that DO get to cross paths leave the audience wanting. (You have all these great performers in a film and you aren’t going to find some way to get them all in the same room together? Or at least make sure that they play off each other as often as possible?) The little subplots are too self-contained. Meanwhile, the characters are PAINFULLY underwritten. There are few distinctive or unique qualities about them, and they never come across as real people — just pawns in this potentially exciting, but dully executed story. 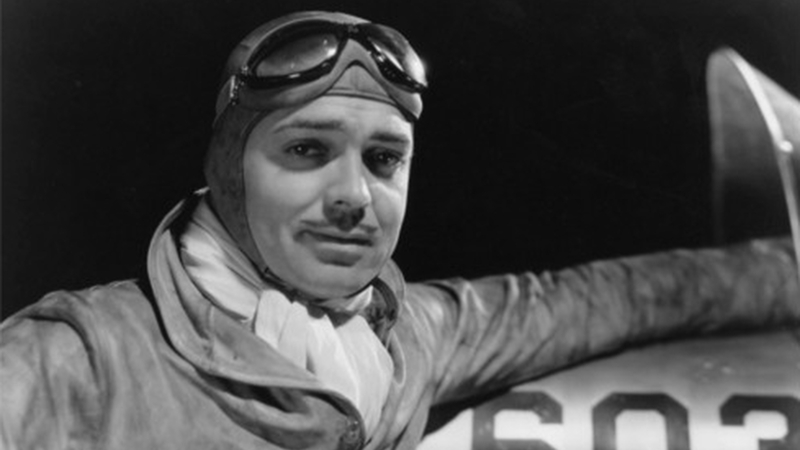 This is where the direction comes into play: this is an aviation film. 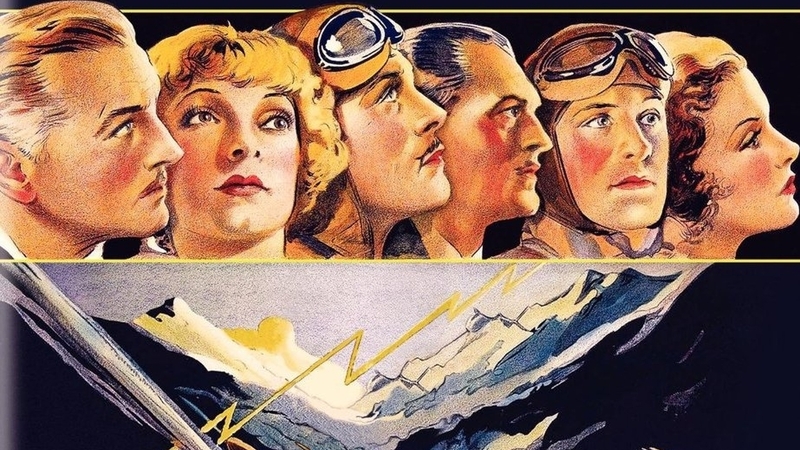 Aviation films demand action-packed excitement and stunning visuals. Unfortunately, director Clarence Brown’s work is uneven. There are several high-flying sequences that manage to be quite nice looking, even if they lack the WOW-factor or the tension that an MGM blockbuster would require. Interestingly, aside from the cast and the fluidity of the editing, this almost doesn’t seem like an MGM film — its stylization is a little darker. There’s more emphasis on and usage of shadows. This is, not surprisingly, engaging to look at, but Brown’s direction lacks cohesion with the story, so he doesn’t really bolster the narrative in the way that the picture demands. Loy’s role is very small, so if you’re a particular fan of our current Film Friday star, don’t come into this picture expecting a lot of her. You really won’t get a lot of anyone here — except for maybe the Barrymores. But, as this film doesn’t really make the grade, it’s not one I would recommend. If you’re a film nut and have to see it, well then, go ahead. 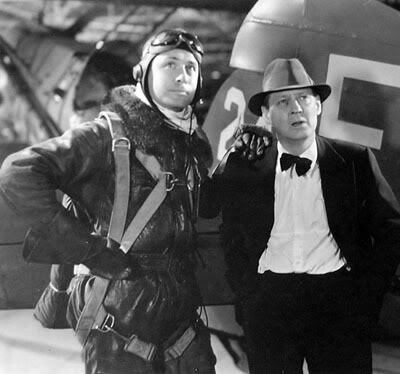 But otherwise, there are better pictures (Pre-Code and otherwise) out there! Come back next Friday for one more Myrna Loy film! And tune in on Monday for the start of a whole new week on That’s Entertainment! Wow, another one of Loy’s I’ve never heard of, though perhaps in this case for good reason. (I guess that seeing all the Thin Man movies doesn’t make me a Myrna Loy authority :) Thanks for another great post Jackson. Hi, Adam! Thanks for reading and commenting! 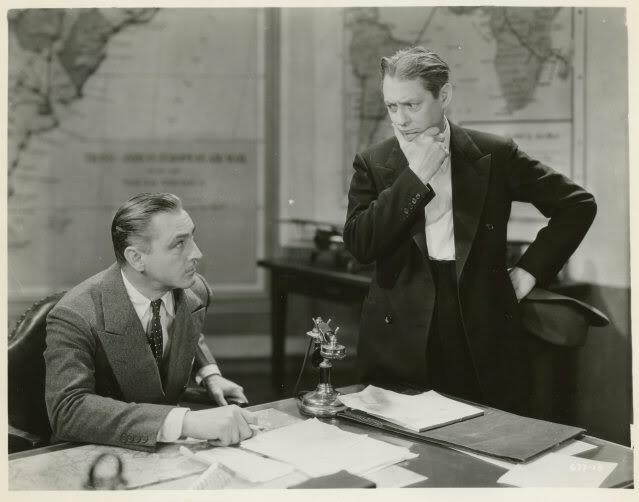 Stay tuned for next week’s post, our final with Loy, on the first in THE THIN MAN (1934) series, the only Pre-Coder of the six, and one of my favorite films of all time! Goody. Look forward to reading your thoughts.